Helping restore you to a full active and productive lifestyle is all in a day’s work for us. When it comes to something as important as rehabilitation after an injury, illness or surgery, the physical therapist you choose makes a difference. You want a therapist who is dedicated to providing friendly, personalized attention to each and every patient. Someone who takes the time to get to know and understand you, for continuity of care that offers you better results. Kleinpeter stays in close communication with your physician throughout the duration of your treatment and we are trusted by area physicians and satisfied patients from around Louisiana. 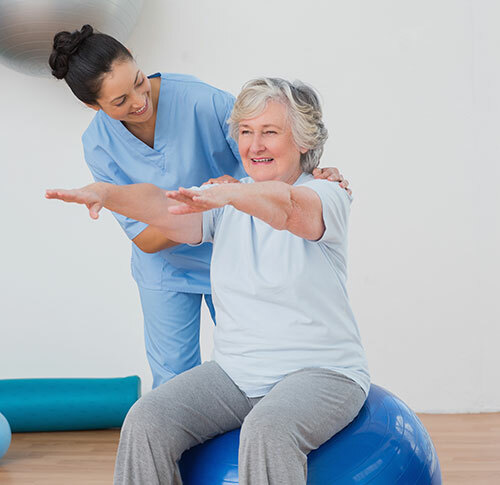 Here is a list of many of the services we handle: physical therapy, sports medicine, work injury, spine & back, senior care, balance & agility, loss of strength, various pain from muscles and or joints, decreased range of motion, preventative care, manual therapy, therapeutic exercise, soft-tissue mobilization, myofascial release, cardiovascular, swiss ball spinal stabilization, isotonic, free weight motions, electrical stimulation, osteoporosis, postsurgical rehabilitation, musculoskeletal, neuromuscular, hand injuries, repetitive-strain, carpal tunnel syndrome, rheumatoid arthritis, and osteoarthritis. If you do not see your insurance plan listed below, please contact us to have our staff check your benefits for you. We also accept third party auto liability cases and attorney letter of protection. From aquatic therapy, treatment of back and neck pain, sports injuries, soft tissue therapy, senior care, and everything in between, Kleinpeter Physical Therapy provides complete physical therapy, rehabilitation, conditioning, and wellness services for all ages.